Schapelle Corby is an Australian native who was at the center of a major criminal trial concerning drug trafficking. Though she denied any form of culpability throughout the highly publicized trial, she was slammed with a long prison sentence coupled with a fine of Rp 100,000,000 by the Indonesian Supreme Court. She spent 9 years in jail and was released on parole in March 2014. In fulfillment of her parole conditions, Corby had to remain in Indonesia until May 2017 when she was deported to her native country of Australia. Schapelle Leigh Corby was born in Tugun, a suburb in the state of Queensland, Australia on July 10, 1977, to Rosleigh Rose and Michael Corby. She has 2 older siblings Mercedes and Michael Jr and 3 younger half-siblings Clinton Rose, James Sioeli and Melanie. She quit high school at the age of eleven after which she enrolled at a technical and further education (TAFE) institute for a beauty therapy course. Starting from her teenage years, she worked at her family-owned business and later at a supermarket. Schapelle Corby was previously married to Kimi Tanaka, a Japanese native. The duo met when Tanaka vacationed in Australia. After dating for a few years, Corby joined Tanaka in Japan where they got married in June 1998. While living in Japan, she worked in the hospitality industry alongside her husband. However, the couple parted ways in July 2000 and Corby returned to her home country. Their divorce was concluded 3 years later. 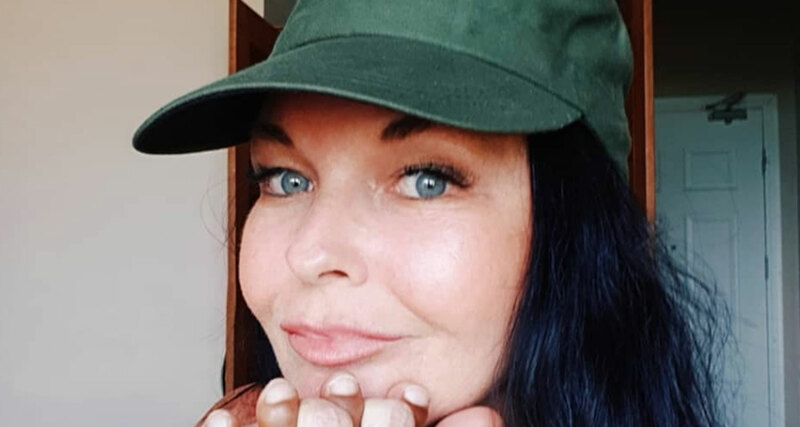 Prior to her arrest in 2004, Schapelle Corby had visited her elder sister Mercedes in Bali, Indonesia multiple times, usually stopping over on her way to Japan. On October 8, 2004, she traveled from Brisbane, Australia to the Indonesian Island of Bali on a surfing trip in the company of her brother and two friends Australia. They had initially flown from Brisbane to Sydney en route Bali. Upon arriving at the Ngurah Rai International Airport in Denpasar, Bali, Corby was intercepted by customs officers on the account of being in possession of 4.2 kg of cannabis. The cannabis had been discovered by customs officer Gusti Nyoman Winata and according to him, Corby had tried to stop him from searching the compartment of her bag where the substance was found, a fact which the latter denied. Corby claimed to have opened the bag herself at the customs counter but that there was an apparent miscommunication between her and the officer. She also maintained that she had no prior knowledge of the drugs until the officers found it. For the trial, Schapelle Corby was offered two Queen’s Counsel on a pro-bono basis. Her defense team suggested that she had unwittingly been used to transport drugs between baggage handlers from Brisbane to Sydney. To prove her innocence, Corby requested that the CCTV footage from the customs counter be shown in court but this was denied. She also requested forensic testing of the bags in which the drugs were contained but this was equally denied. After several months of trial, Schapelle Corby was pronounced guilty on 27 May 2005 and consequently, she was sentenced to 20 years imprisonment with a 100,000,000 rupiah fine. While Corby was remanded in prison, the case continued to linger as both the prosecution and the defense teams appealed the ruling; the former appealed for life imprisonment while the latter appealed for a lighter sentence or acquittal. The case eventually came to a head in March 2006 when the Indonesian Supreme Court ordered that the evidence (the drugs and Corby’s bag) be destroyed. Her final appeal to the court in March 2008 was also rejected. In May 2012, Schapelle Corby’s original 20-year jail term was reduced by 5 years by the Indonesian President in response to an appeal for clemency. She also received several remissions during her sentence because of her good conduct in jail. She was eventually released on parole on February 10, 2014, having served 9 years in total. However, she remained in Indonesia until May 27, 2017, as part of her parole conditions. Where is She Now? Is She Dead? Schapelle Corby was deported from Indonesia on May 27, 2017, when her parole period elapsed and she arrived Brisbane the following morning. She is very much alive and well and she maintains a strong social media presence. She lives in Queensland, Australia. Apparently, Corby might just delve into music sometime in the future as she wrote and recorded her first single “Palm Trees” in late 2017.